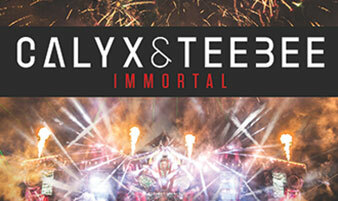 ‘Immortal’ by Calyx & Teebee is out! Ready for the 'Immortal' track from Let It Roll Opening Ceremony? RAM Records is releasing Calyx & Teebee’s opening ceremony in four parts; a carefully diced up package which will instantly transport you back to a defining part of Let it Roll’s history. GET THE 'IMMORTAL' IN THE STORES.